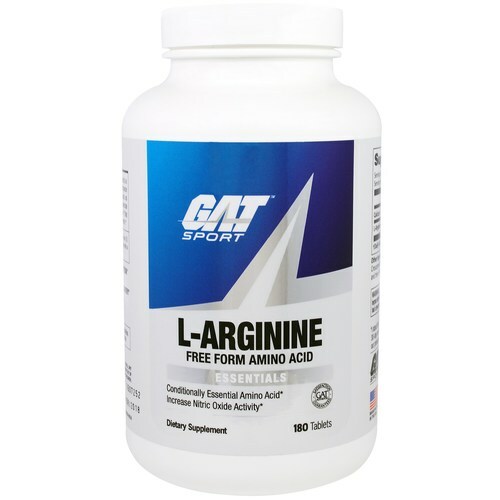 L-Arginine like the kind found in this supplement from GAT is a precursor to Nitric Oxide. Warnings: This supplement should be avoided by persons with glaucoma or herpes simplex unless otherwise prescribed by a physician. Do not use if you have had a myocardial infarction or have established coronary artery disease. Notes: Free form amino acid. 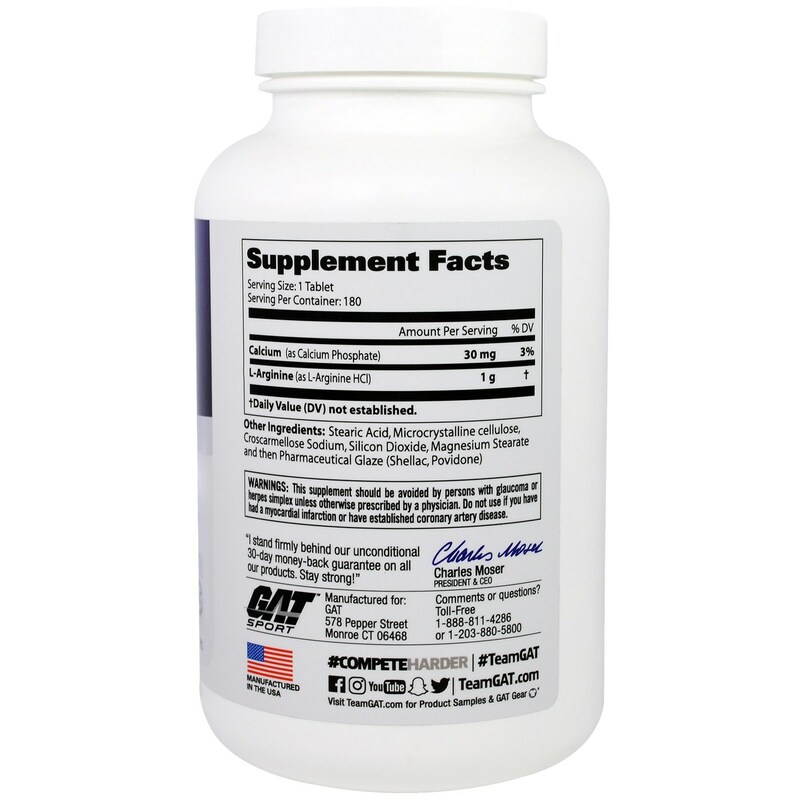 Recommended Use: As a dietary supplement, take one (1) tablet 2 times daily as needed. Take between meals at bed-time with a carbohydrate drink to facilitate absorption.